Because my husband and I are always moving, trading one “hometown” for another around the continent, we frequently pick up local newspapers to see what’s happening while we’re in the neighborhood. 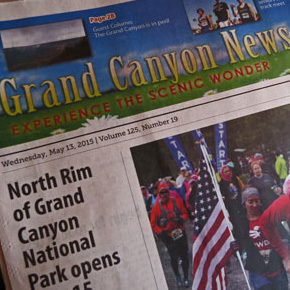 On a recent visit to the Grand Canyon we bought the Grand Canyon News, and it delivered a juicy bit of information about an upcoming arts and crafts fair. Being an avid reader (I should do another post on reading signs in laundromats around the country), I start with the headlines then comb every page — all the way through the classifieds. As an outsider, I don’t know the details around the controversy, but it sounds like some big players are involved, personal quality-of-life issues are at stake, and — are you still with me here? — THAT makes for great conflict. And great conflict makes for the best fiction, right? We were in Nevada last month and in California the month before, and each of the towns we stayed in was embroiled in some controversy. One county newspaper railed against the sheriff. Another poked journalistic fingers into the sides of a local homeowner’s association board of directors. When you live in a place for any length of time, you’re invested in what goes on. The politics can get personal. But when you travel, you don’t have the same attachments; you don’t have a stake in what goes on, so you can absorb all sides, find humor in a situation locals don’t notice. You see irony, hypocrisy and all kinds of oddball behavior because you’re standing on the outside looking in, and your view is much clearer. Indulge yourself when you travel — whether for a quick vacation or for work, for the brief (or extended) family visit or high school reunion. 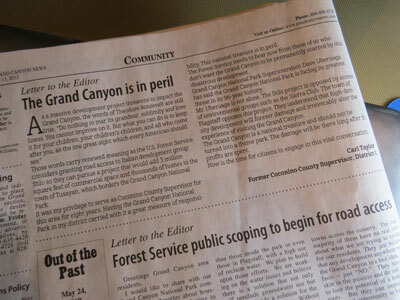 Collect a local newspaper or two, reade the opinion columns and letters to the editor. What’s the local controversy? What are the possible plots you could spin from what’s going on? Who are the players? What’s at stake? Make notes. 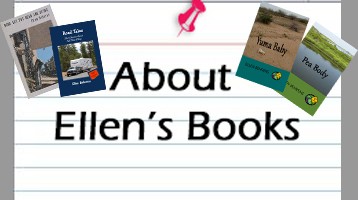 Tear pages and stuff them into your briefcase or carry-on bag. Save them. Use them when that so-called “writer’s block” threatens. Train yourself to write right where you are, any time you travel, and you’ll have more ideas pinging around in that fiction brain of yours than you’ll have space for. Trust me! How about you? Has something you read in a newspaper away from home influenced how you developed a short story or novel? Tell us!